In addition to the main cover and hip-hop variant cover, Marvel also produced a variant cover with some of Brian Stelfreeze's sketch art. 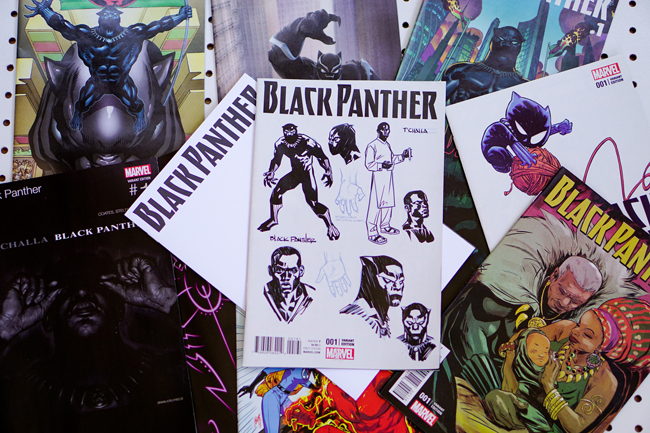 There are several sketches on the cover, but I was most fascinated by the one with T'Challa (the Black Panther) in a lab coat. The people of Wakanda, Black Panther's home country, are well known for being scientifically and technologically advanced. The image of T'Challa wearing a lab coat and apparently holding beakers validates the notion of Wakanda's interest in science. 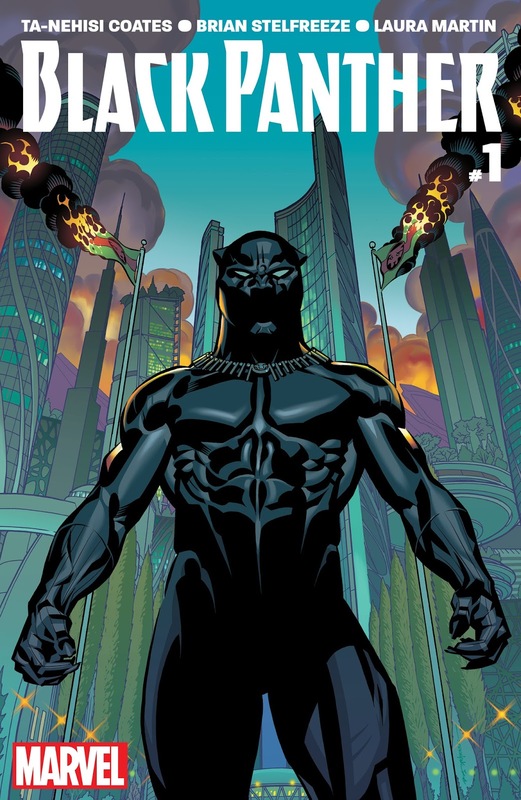 We get more along these lines of how advanced Wakandans are from the high rise, contemporary-looking buildings in the background of the regular cover of Black Panther #1 to the technological machines and devices from that first issue. The cover with "T'Challa as scientist," as I call it, also contains sketches of him in his Black Panther suit, head shots, with and without his mask, and images of a hand displaying "retractable anti-metal claws." The sketches give us opportunities to view Stelfreeze's work in process or at developing stages. It's not unheard of for comic books to occasionally include sketches of an artist's work. Those sketches, however, usually appear toward the back of comic books issues or trade paperbacks, not on the front cover. 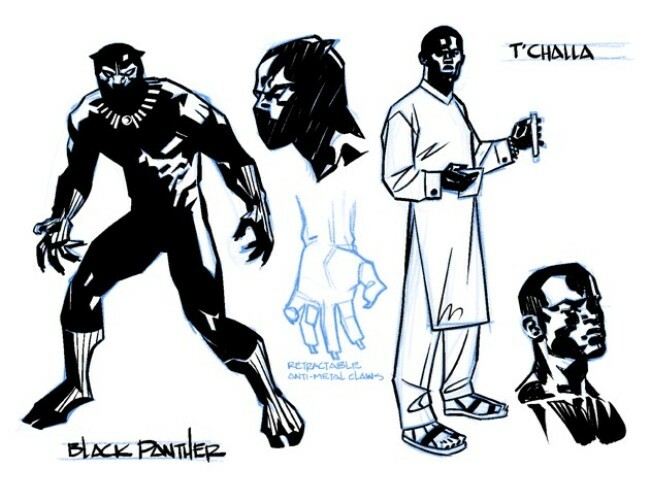 The appearance of Stelfreeze's work-in-progress give us multiple fragmented views of Black Panther/T'Challa. We are also prompted to think about the efforts of this artist thinking about and drawing the artist.